Anna Mary Bakley, a 69-year-old mother of three, survived gallbladder and breast cancer, but didn’t survive a bleeding ulcer that could have been easily treated. She bled to death from an upper gastrointestinal ulcer on New Year’s Eve in 2016. I recently filed a wrongful death lawsuit on behalf of Mrs. Bakley’s family against her gastroenterologist, Gabu Bhardwaj, MD, and his practice group, Digestive Disease Associates of North Florida, that provided gastroenterology services at the hospital. 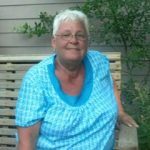 On December 30, 2016, Mrs. Bakley felt dizzy and fell at her Starke home. She was taken to Shands Starke Regional Medical Center, where a CT scan revealed a mass in her stomach. Recognizing Mrs. Bakley had suspected gastrointestinal bleeding requiring a higher level of GI care, the medical staff transferred her to North Florida Regional Medical Center. Our lawsuit contends that instead of investigating gastrointestinal bleeding, Dr. Bhardwaj misdiagnosed Mrs. Bakley with obstructive jaundice. The diagnosis was made despite the fact that her hemoglobin and blood pressure were low and falling, two signs of gastrointestinal bleeding. Mrs. Bakley was scheduled for imaging the next day, but by 4 am, her condition deteriorated and she coded. She was transferred to the ICU, where she vomited a large amount of blood, and was intubated. Multiple rounds of CPR were done and failed. 12 hours after being transferred to the hospital, she died. Our medical malpractice lawsuit alleges Dr. Bhardwaj allowed Mrs. Bakley to bleed to death. He could have easily diagnosed her bleeding ulcer by doing a simple endoscopy or inserting a tube through her nose down to her stomach. Had either been done, Mrs. Bakley would have lived. If you or a loved one suffered an injury or death that may have been caused by medical malpractice, contact attorneys Fadi Chakour, M.D., J.D., or Matt Sowell at (904) 722‑2228. 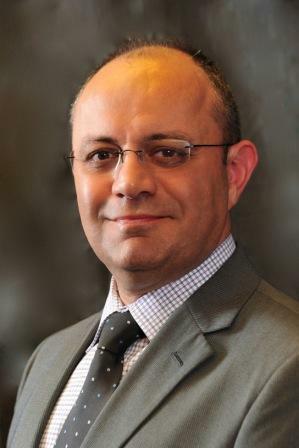 Fadi Chakour is a medical doctor who moved from the practice of medicine to the practice of law. Combining his medical experience and legal abilities enables Fadi to be a powerful advocate for injured consumers and their families. Fadi Chakour is also a national leader in stroke litigation. He can be reached at (904) 722-2228.